A native of Connecticut, Sandy Limberger carved out a successful 18-year career in Information Technology with such major corporations as American Airlines and Aetna; before re-focusing her considerable business skills on real estate. Limberger brings to the team a diverse background in real estate, including an SFR (Short Sale & Foreclosure Resource) designation. REALTORS® who have earned this very ti... more.mely designation are considered knowledgeable and trusted resources in these increasingly common types of property transactions. 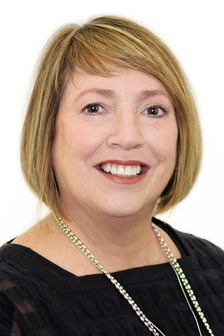 Her passion for everything having to do with enjoying and preserving the quality of life on or near the water makes her exceptionally qualified to help buyers and sellers of waterfront properties. She is a life member of Coastal Conservation Association and sat on its board of directors in Connecticut; and currently serves on the Charlotte County board. From Pine Island to Punta Gorda, Sandy is intimate with the waterfront communities in both Charlotte and Lee Counties. Working from the new Burnt Store office of Michael Saunders & Company she is perfectly positioned to serve clients with interests in Punta Gorda Isles, Burnt Store Isles, Burnt Store Marina and the communities in the Burnt Store corridor—including Burnt Store Lakes, Burnt Store Village, Pirate Harbor and Burnt Store Meadows. Seminole Lakes, Southwest Cape Coral and Pine Island are all a short drive away. ...less. I would like to say how pleased I am with Sandy Limberger's performance in selling two lots for me and listing my home. Sandy works tirelessly to provide the best service to her clients. Her entire orchestration is seamless from listing to closing. Sandy's skills prove to be exemplary as is her unique ability to bring structure and focus to the task at hand and always with a smile. Her calm and friendly demeanor is invaluable and gives me a peace of mind that is priceless indeed. Sandy exemplifies the consummate professional. Sandy is hands down the best realtor I've ever dealt with! She knows her market and is great at assisting with the little details an out of town buyer struggles with. I bought a condo and she assisted in getting information from the association, the management company and the sellers, who were European. Choose Sandy and you'll have a pleasant buying experience! Sandy never let's obstacles change her sunny disposition. We had people who forgot to leave keys, people who were supposed to be home to let us in and weren't there. One by one Sandy resolved the situation calmly and quickly. She is tireless, dedicated to her clients and a delight to work with.